Plank Sourdough Pizza is different. If you are a lover of thick crust, oily, cheese-laden pizzas, preservatives, improvers and frozen ingredients…do not visit us. 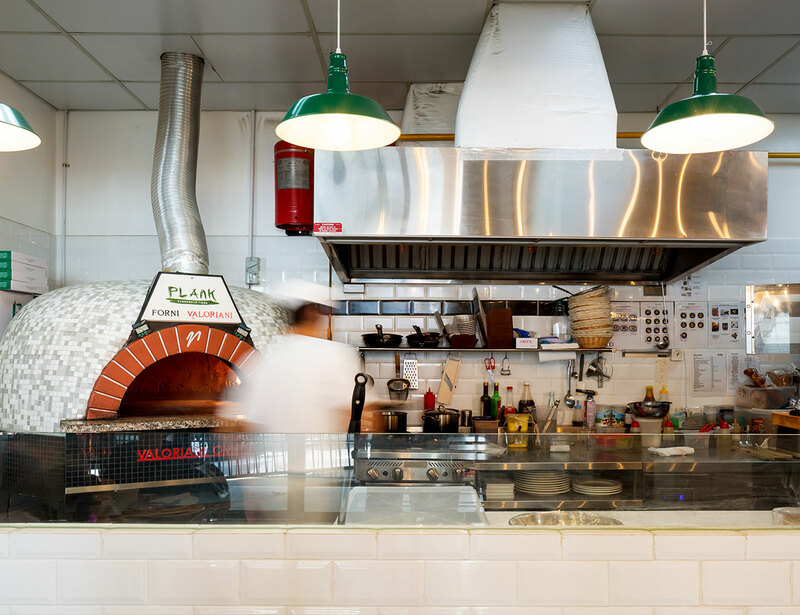 We pride ourselves on serving clean, freshly made, hand-stretched, sourdough pizza bases topped with interesting, quality ingredients… and a sprinkle of personality of course! As with anything that is of handcrafted quality, this is not a quick process – good food takes time. Meet ‘Little Johnny’ – the sourdough starter that Dean created and has fed for more than 20 years. Using the same long, slow fermentation process as used in the production of our famous Baker & Cook sourdough bread, we use a combination of flours and slowly ferment it for up to 48 hours at 8°C using only our natural wild yeast (levain), salt, water & extra virgin olive oil to make our sourdough. We prepare our pizza bases the traditional way by pressing and stretching (no rolling pins here!). You may be lucky enough to see one of our pizza chefs tossing the dough up in the air, but that is really only a performance to impress the kids. Our goal is to achieve a light, crisp base with a soft, pillowy and slightly crisp crust by hand stretching. Let the fun begin!  Using only the best quality and carefully selected ingredients we top our pizzas with a variety of cooked, fresh and cured ingredients. Inspired by Dean’s global travels, the pizza varieties are interesting and have a chef’s touch. No greasy cheddar or dried oregano here, we use only fresh balls of mozzarella and garden picked herbs. Look out for our Pizza of the Month that allows us to have a little fun with flavour and local trends. It’s now only 2 minutes between you and the best pizza in town. 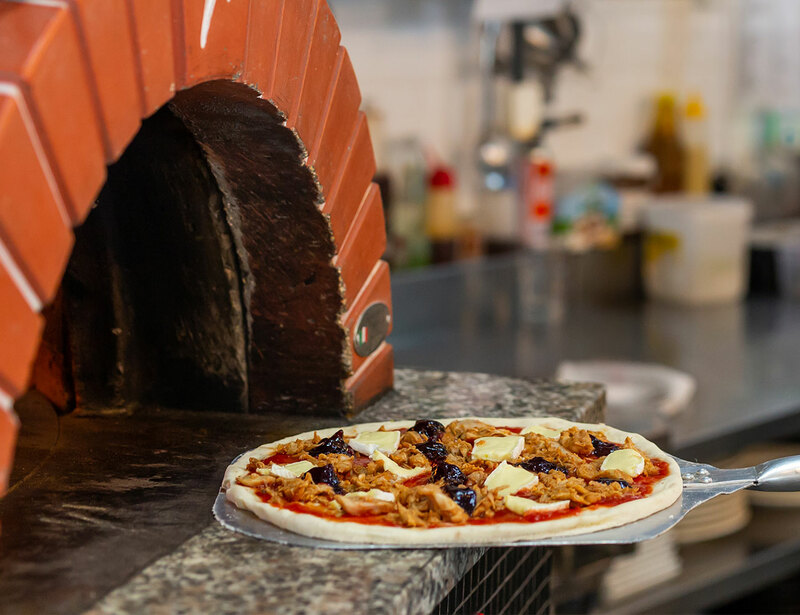 After skilfully placing your topped pizza into our special Valoriani pizza oven at a blazing 380°C – 400°C for a couple of minutes, you will see our pizza chefs rotate the pizza with their peel close to the open flames at the end of the baking process. This is to achieve a lovely wood-fired, slightly charred effect which adds to the amazing taste of the sourdough. The final result? A mouth-watering pizza of your choice with a crust that is super pillowy soft with a touch of crispness. 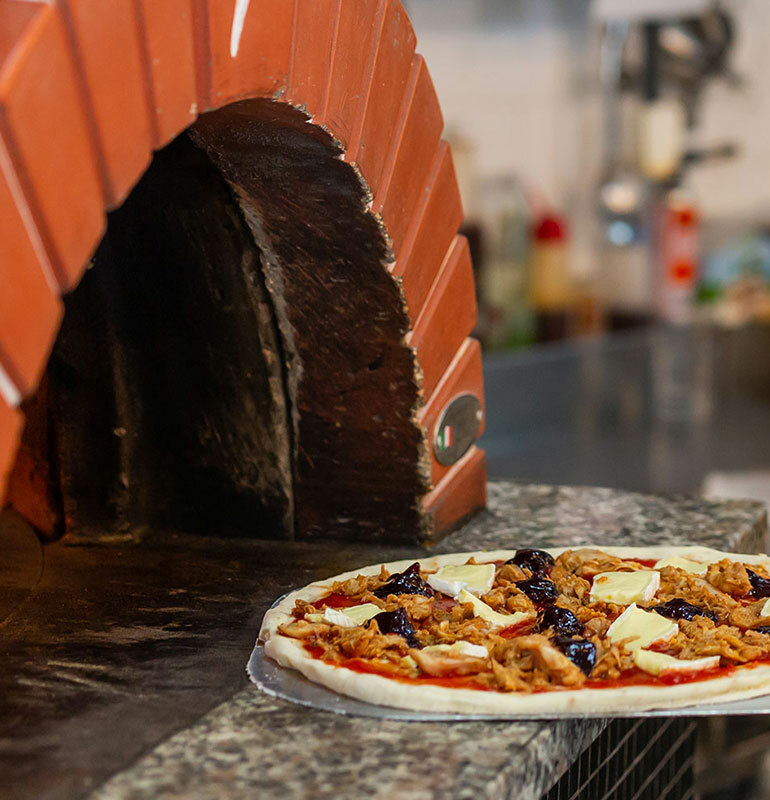 Our perfect pizzas with a delicious, smoky crust wouldn’t be possible if Global Baker Dean Brettschneider had not gone on a quest for the best oven for his sourdough pizzas. 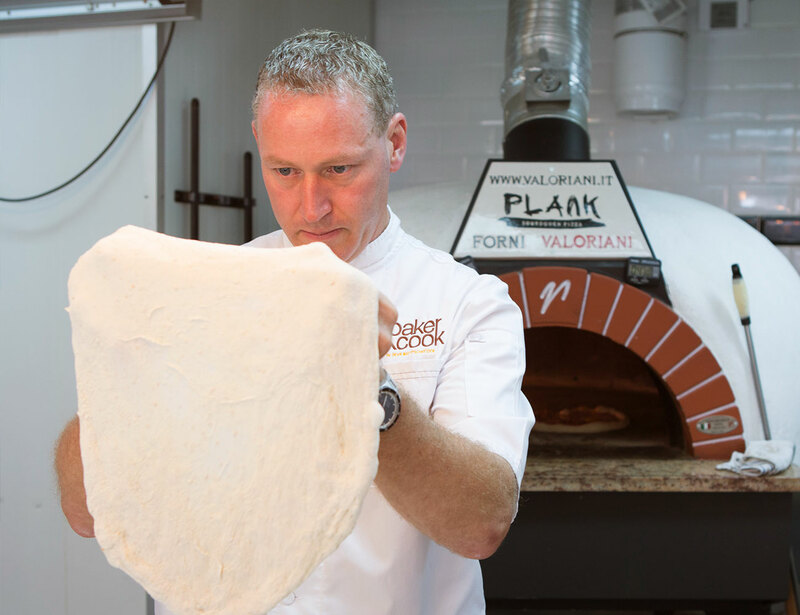 His journey brought him to Florence, Italy, where he met with the Valoriani family — a fifth generation-owned manufacturer of artisanal bread ovens.  Plank Sourdough Pizza owns a number of 1.2 metre tall brick kilns that at 1300?C, can turn out five to six pizzas at one time. Valoriani is also the only manufacturer in the world that produces all the refractory components of the oven ‘in house’, including the baking floor. The oven floor sections have been carefully studied, pressed and baked at over 1300 ?  C, and is specially formulated for bakers to slide pizzas in and out of their ovens with ease and confidence. 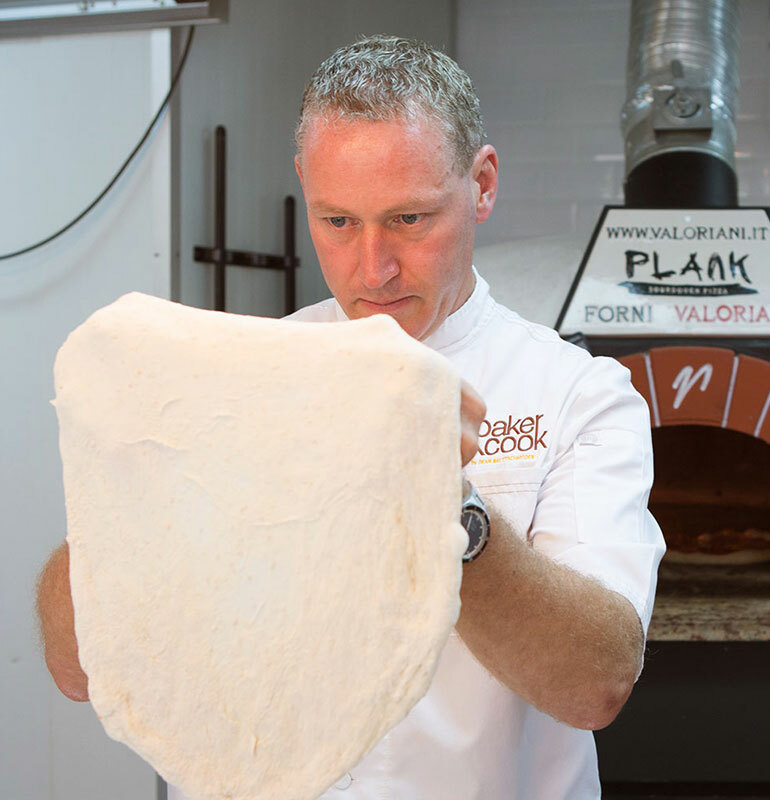 At Plank Sourdough, popping the pizzas in and out of the Valoriani oven is a two-minute deft manoeuvre, where expert hands constantly rotate the pizza as it is licked by flames. 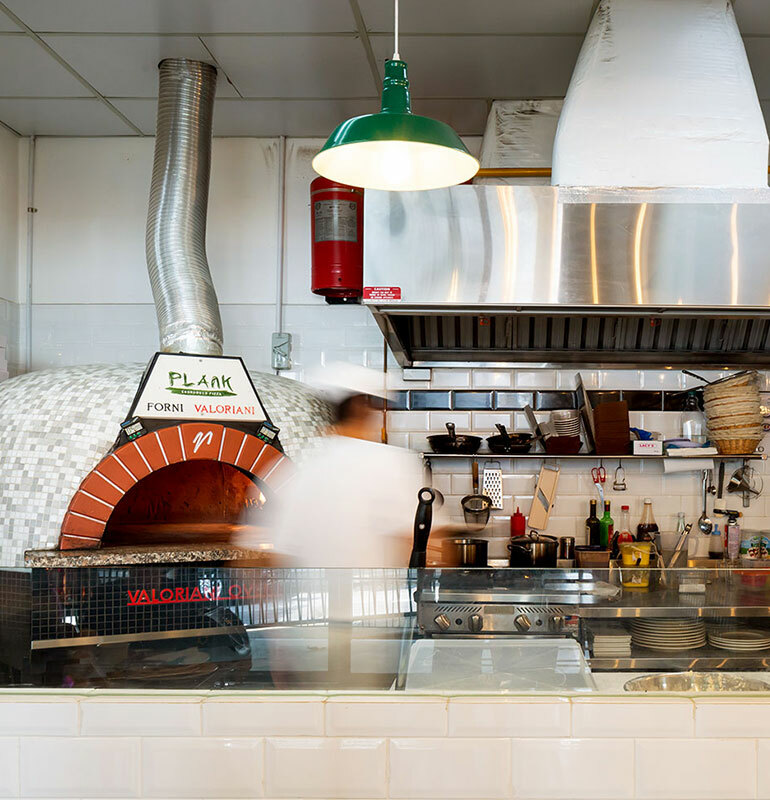 The result – the very best pizza in town. Visit us at one of our cosy and relaxed family-friendly restaurants, nestled in a neighbourhood near you. Give us a call to book a table for groups or pop on in for a casual date. Feeling lazy? Sometimes there is nothing better than pizza on the couch at home in front of a movie. We have the solution! Find us on Deliveroo or Food Panda and we’ll deliver to your door.